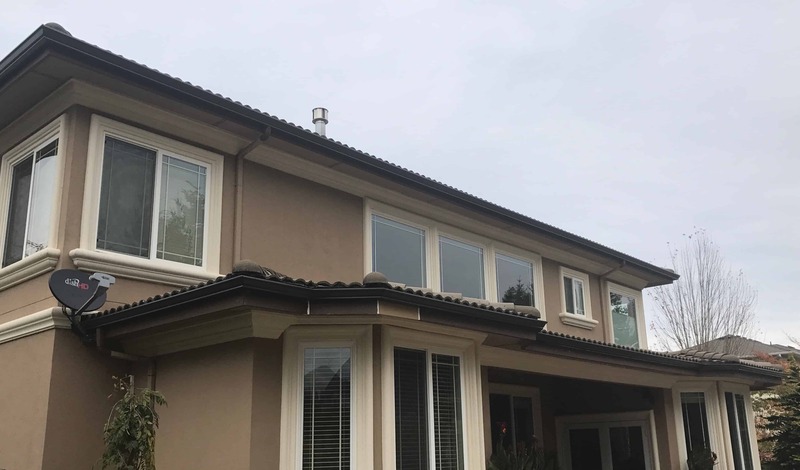 In addition to roofing, we install continuous gutters, downspouts and gutter protection. We purchase our trim coil and gutter accessories from ABC Supply, who is a distributor for ACM Rainware Systems. Our machine installs continuous gutters, both 5k and 6k, available in a variety of colors, as shown to the right. 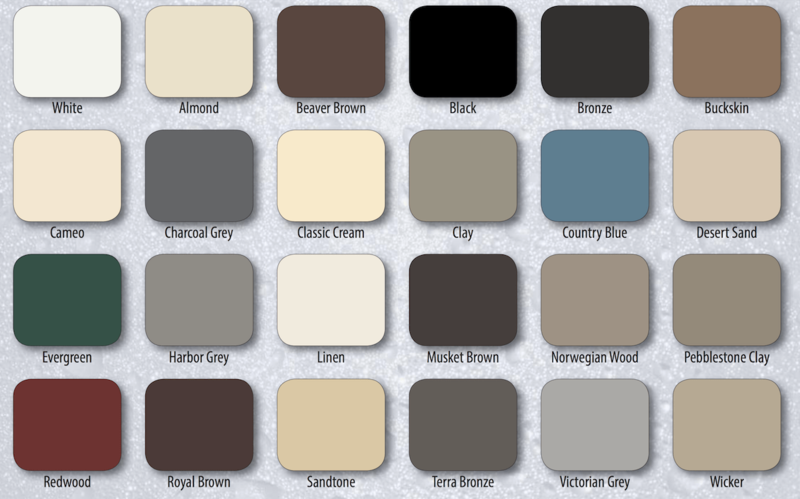 Let us know which color fits the needs of your project! 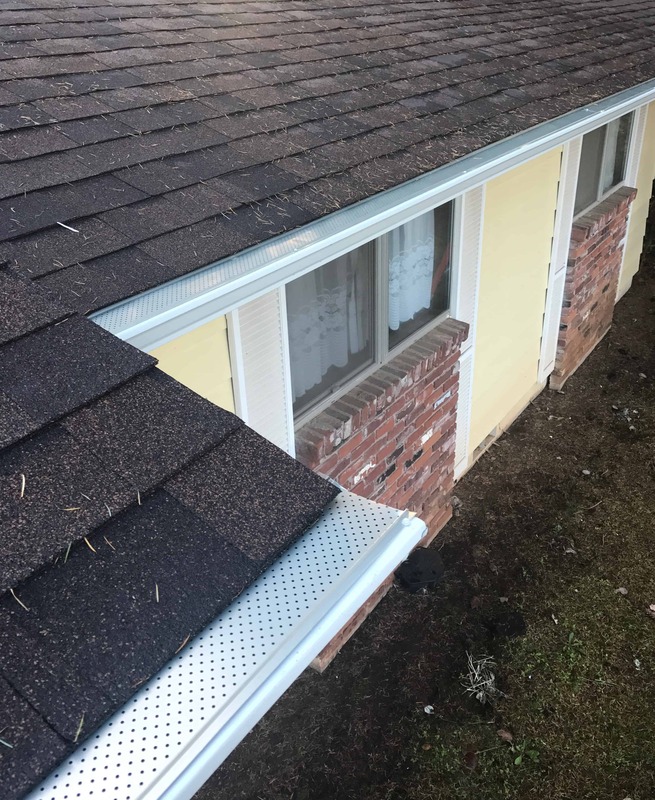 Leaf relief installs quickly and keeps the pesky pine needles out of the downspouts! Check out the details and read more on the PlyGem website! Carpentry is no problem at all. Our gutter crew is capable of handling rot repair on your fascia or installing new fascia, whatever the case may be. No job is too big or too small. We can handle tricky corners and difficult angles. Call today for a free estimate. Thanks for visiting!